Photos by Gail Herbert – no reproduction without permission. King and Company was a series produced at Pebble Mill by executive producer John King. It featured wildlife cameraman, Simon King (John’s son) on wildlife filming assignments with different celebrities. It went out in 1988. The featured celebrities included Wendy Richard, Liza Goddard, Mark McManus, David Essex, Toyah Willcox. 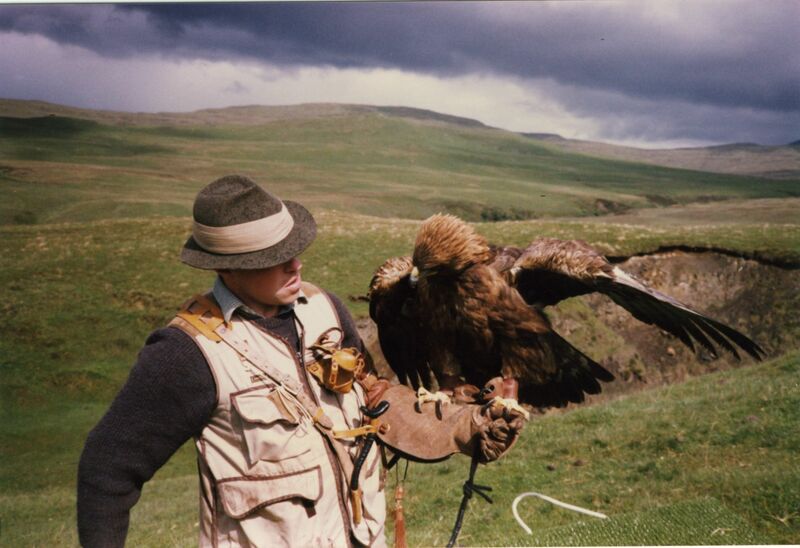 The filming subjects included deer, dormice, frogs, salmon, and golden eagles. Gail’s photos show filming taking place, and the crews involved. Gail was the production assistant, Tony Rayner the producer. The cameramen include John Couzens, Alan Duxbury, John Williams, Dave Evans, Keith Froggatt, sound recordists include Alex Christison and Tony Wass.